Roofs are usually an afterthought – until something is wrong with it, of course. 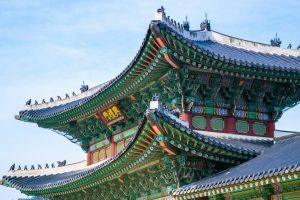 In other countries, builders spend a lot of time designing ornate roofs. Roofscapes Exteriors has gathered 5 of the most beautiful. 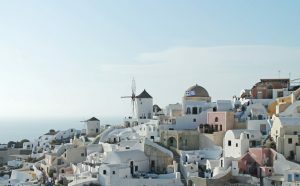 The islands of Greece are known as the Cyclades and in this area of the world the homes are either white or a very light color with domes roofs. Situated next to the Aegean Sea, these beautiful homes are made from stone and their tops insulated with wood, mud, hay and volcanic ash cement. Some of the most recognized roofs in the world, Cyclades homes are classic images of Greece. Japanese Pagodas are ornate, tiered structures said to have first built to be placed over the ashes of holy individuals. Standing a typical 5 stories tall, these wooden structures can also be used as holy temples. Known first as a “Stupa”, these buildings have been in Japan for over 1,300 years. 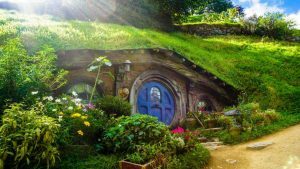 Made famous by JRR Tolkien’s The Hobbit, these underground homes with grassy roofs are as eco-friendly as they are cute. Built directly into the earth, these greenery roofed homes are making their way into modern living. Green Magic Homes is making sure that Bilbo Baggins isn’t the only one able to call one of these dwellings “home”. The English Countryside is the place to see thatched roofs. Since the 1800s, the people of England have used dried straw to top off their homes. 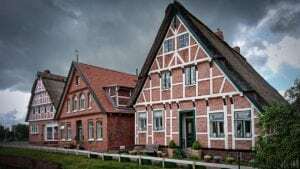 Falling from popularity several decades ago, thatched roofs are just now making a comeback. Saint Basil’s Cathedral, The Cathedral of Vasily the Blessed, is a church in Moscow’s Red Square. Ivan The Terrible ordered the construction of this cathedral in 1552 after the capture of the Mongol forces. 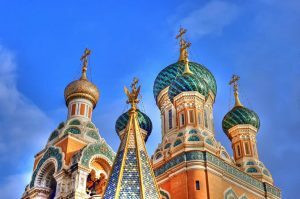 These intricately designed “onion domes” cover were nearly demolished by Stalin but ultimately saved by Pyotr Baranovsky who spent 5 years in prison for his efforts. If you’re looking to a new roofing system and want to learn more about your options, contact us today! Connect with Roofscapes Exteriors on Facebook , Twitter and Pinterest to learn more about our roofing company and services.